The new God of War game, while dateless, comes to the gaming world closer and closer every day! So, let’s relive the series by taking a look at the previous games in this beloved PlayStation franchise! God of War is an Action-Adventure game primarily developed by Santa Monica Studio. Created by the crazy mind of David Jaffe, this series spawned into an iconic PlayStation franchise. The story is about a demi-God, Kratos, who killed his family (although he has a son in the eighth installment, God of War) because he was tricked by his former master, Ares. Today, we’re gonna look back on all the previous games and how the series came to be. This article will be updated over time to include all seven released games. ALL GAMES FEATURE SPOILERS FROM THE PLOT, JUST WARNING YOU NOW! This is the latest to be released on March 12th, 2013. While it’s the latest to come out, it’s actually the first in terms of the story! 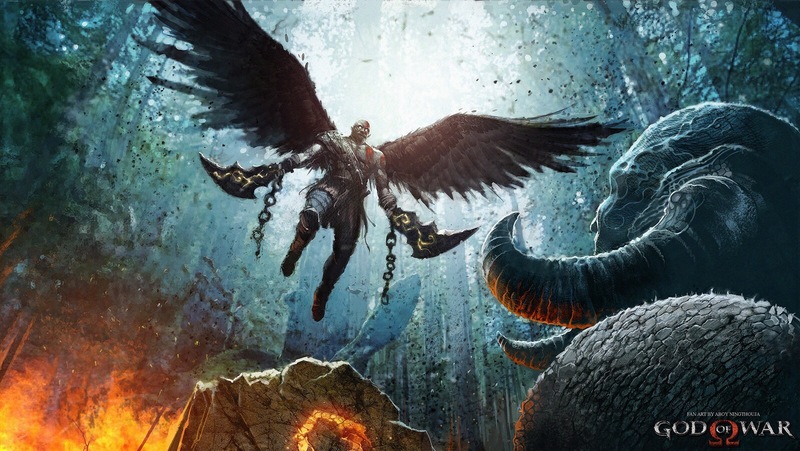 The seventh God of War title began development in 2010, however, it would be announced on April 19th, 2012. This title is also working on Santa Monica’s God of War III engine, but reworked for this new game. This was also the only entry in the series that featured Multiplayer. The online featured up to eight players with a small story to it. The Multiplayer also includes five modes: Team Favor of the Gods, Match of Champions, Trial of the Gods, Capture the Flag, and Bout of Honor. 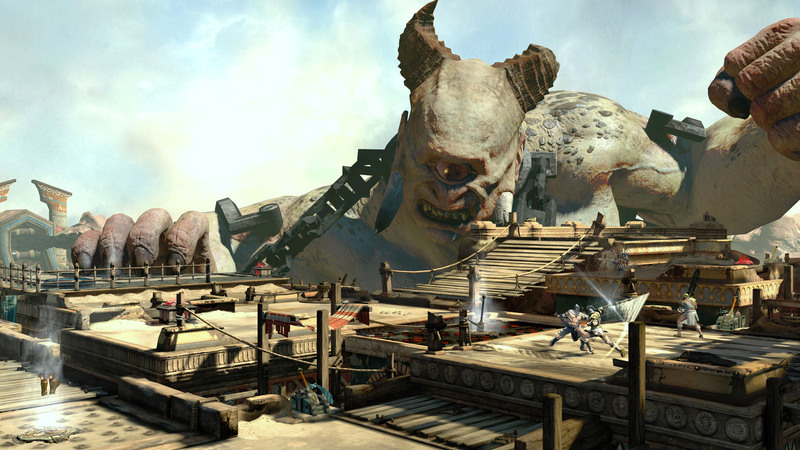 Fifteen maps are also playable, two of which are based on actual locations in the God of War series and eight based on Ascension. Ascension takes place over only four weeks, it switches between the present and past (the past three weeks), playing Kratos in both. 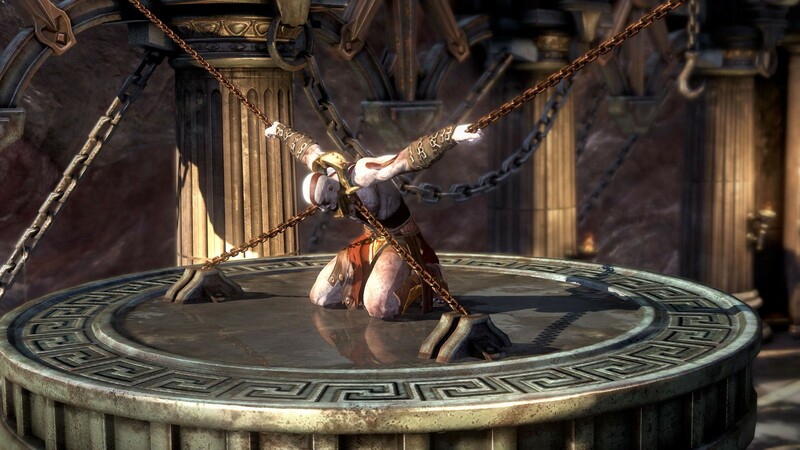 To keep everything short, the game starts off with Kratos was imprisoned by Furies. He later escapes and tries to find the Furies that locked him up. Later, a flashback happens that is set three weeks in the past where Kratos is tricked into killing his family by the then God of War, Ares. A week later he travels to the island of Delos. While there, all three Furies fight and capture Kratos. Soon after, Orkos appears and frees Kratos, teleporting him to an alternate location. Flashing back to the present time, Tisiphone and Daemon make Kratos have another illusion. Kratos denies the illusion, forcing Alecto and Tisiphone fighting each other, and he ends up killing both Furies, which destroys the prison. Kratos then returns to Sparta. Orkos congratulates him on his win against the other Furies but reveals he’ll never be free until Kratos kills him. So, he does. Very soon after Kratos burns downs the house and leaving Orkos corpse in it. This is just the first part of Kratos’s journey to becoming the Champion of the Gods! The graphical details in this game were absolutely incredible. Everything from the lighting to the overall atmosphere was almost beyond anyone could’ve imagined for PS3. The details in characters skin and clothing were something unreal. Santa Monica Studio tried to push the limited of the then aged console and they succeeded by a mile. Texture detail is very high considering the hardware and the depth of field effects in this title were probably the best I’ve seen. The Soundtrack to God of War: Ascension is also some kind of magical experience. The composer to the Soundtrack, Tyler Bates, did a fantastic job and is probably the best one in the series! Ascension also had reviews that were in the favor of the game. On Metacritic, God of War: Ascension has a 80, but it is the lowest of the franchise. Still, it is one of PS3’s greats! Next Up – God of War: Chains of Olympus! This portion of the article will be up by Friday, December 16th along with the third title chronologically, God of War.